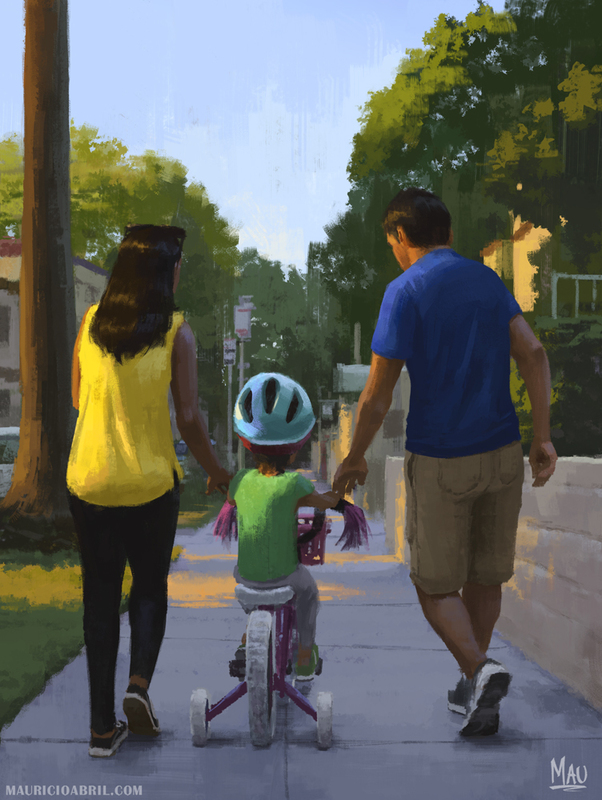 "Color Theory" - Went for a run and got inspired by some young parents I saw taking their daughter for a bike ride. I used it as an opportunity to experiment with some different painting approaches as well as to paint some color under sunset lighting. That's also when I got the idea to make this scene extra "cheesy" by having their shirts work as a visual pun (cause blue and yellow mix to make green lol. Thank you! I'll be here all week, folks. Don't forget to tip your server).